Bishop + Young top and skirt. Marais mules. Bartaile bag. Chan Luu bracelet. Camel is the color of the season and it's as versatile and timeless as a staple neutral. As the hue that fills the closets of street style stars and old money, camel remains a ubiquitous trend that'll prevail through all seasons. 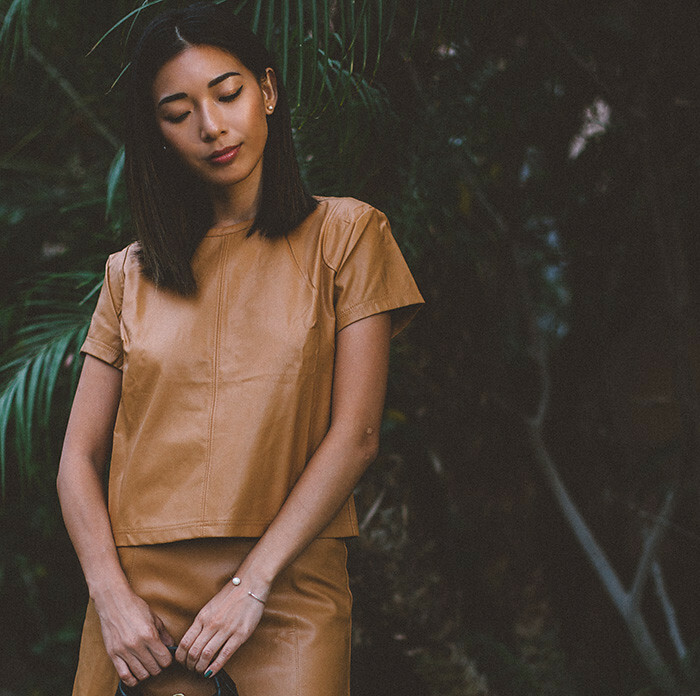 I recently acquired this matching set in buttery soft camel leather from Bishop + Young and I love that I can mix and match camel into more of my outfits with each piece. I'm also carrying a new leather bag from fresh brand Bartaile that fits everything I need to work on-the-go. Check out their Facebook for updates on their exciting launch!